When you get closer to or past your due date, you may be in doubt whether you should try to induce labor or let your baby come out on his/ her own. Most babies come out after they’re ready; others require an extra aid to do that. When Is It Okay To Try To Induce Labor? It’s always preferable to talk with your obstetrician or midwife before going for inducing labor exercises. If you attempt to induce labor very early, your baby could have problems with jaundice, breastfeeding or even labored breathing and other problems. Babies whose gestational age is about 39 to 40 weeks have also been shown to have healthier brain development compared to those born before this phase. If your pregnancy time exceeds to 42 weeks, your obstetrician will start monitoring you more closely. 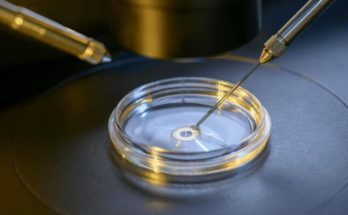 There are some threats that start to boost at this stage, such as placenta deterioration, harder labor, decreased amount of amniotic fluid, fetal pain, and stillbirth. Exercising daily is secure for the most of the pregnant women; however, there are some cases where exercises may be the unsafe decision for trying to bring on labor. If you have any of the following situations, it’s better to talk to your obstetrician before doing any type of exercise. Severely low or high amniotic fluid. If exercising to induce labor is safe for you, then practice the following 8 exercises. Walking maintains your body fit and can even facilitate to jump-start labor. It has also been shown to assist speed up slow labors. This easy exercise encourages uterine contractions, mostly with women who have not been as energetic during their pregnancy. By taking a fast walk you can help your cervix to expand and your baby to fall further into your pelvis. If nothing else, it is pleasing distraction that will facilitates to relax your mind and your body. Squats are known as one of the safest exercise during pregnancy that trains you for labor and child birth. From reaching you in good shape, and assisting baby to move downwards near to the pelvis, squats help you to induce labor naturally. With the aim of squatting, you require to stand with feet shoulder breadth apart and lower yourself into a squat position smoothly. Keep your back straight and never let your knees extend beyond for about 10 to 30 seconds. Then, get back to a standing position. Repeat this process for about 10-20 times every day will also help you to lessen back pain during pregnancy. Climbing up the stairs will angle your body at about 40 to 45 degrees, which push your baby to move lower into your pelvis. Hopping a step opens the pelvis more, permitting your baby to go down even further, putting mild pressure on your cervix, encourage it to dilate and thin which is the exact series of events necessary for labor to happen. Pelvic tilt is an easy exercise to induce labor naturally. All you need to do is locate a good space to lie down on your back, curve your knees and keep the foot on floor. You also have to ensure that you don’t bend your shoulders. Pelvic tilt keeps the pelvic joints loose to get your baby into an improved pose. Do it about 5 to 10 minutes daily and this work out will help you for healthier fetal positioning giving you ease during the labor. Lunges can practise your body for the natural birth. Doing lunges every day will help heat up your hips and open your pelvis, letting more room for your baby to rotate and go down. To perform a lunge, stand with your feet together, then take a huge step forward and let your back knee touch the ground. Your front knee should be in line with your front ankle and your back should be straight. Try to maintain this position for 5 to 10 seconds or until you have a burning feeling and then push back up. Birthing balls are also known as exercise balls. These are brilliant tool to help set up your body for baby and naturally induce labor. 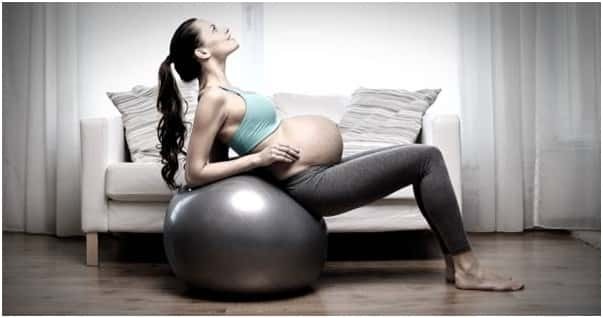 By sitting on birthing ball with open legs, you will facilitate increase blood flow to your uterus, placenta, and baby. You will also open your pelvic passage, encourage baby to drop down, and get your baby into the right pose. Butterfly stretch is an easy exercise which also makes the pelvic joints stretchy to help induce labor. Get in comfortable sitting position, find a wall to hold up your spine and put your feet together. Press the knees with your hands and try to extend your inner thighs. Repeat this exercise for about 5 to 10 minutes. Sitting just does not mean anywhere. Try to avoid gliders, beds and soft couches and always ensure that you sit in straight position with your pelvis pent forward. Replace the normal chair with the exercise ball to maintain your pelvis in a line. You can also attempt different positions like cross legged where you widen your legs and push the uterus forward.